‘La Donna del Vino’ (The Lady of the Wine) is the pseudonym of this young lady from Melbourne, Australia. I grew up in the western market-garden region of Werribee South surrounded by red earth, the smell of chicken manure, broccoli, iceberg lettuce and cabbages…hold the Cabbage Patch Kid jokes thanks. I am third-generation Australian, but of north-Italian descent, or more specifically from the Veneto region. I have visited this region many times with family, cugini (cousins), and during stints for work and have since developed a thirst for knowledge on all things Italian, especially wine and food. In order to capture the story of my gradual interest and involvement with wine, I would like to roll with Julie Andrews who surely would have said, “Let’s start at the very beginning. A very good place to start”. 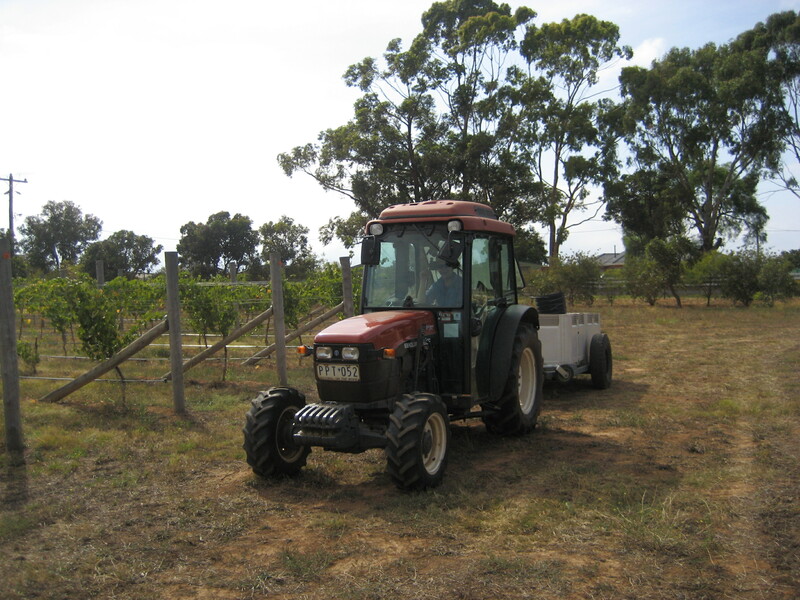 Vintage 2 ) Towards the end of 2006 I began cellardoor work for Shadowfax winery in the west of Melbourne. This eventuated into helping out part-time during vintage 2007 with Matt Harrop and Simon Steele. A year in the vineyard exposed me to core viticultural practices and vineyard management with sites in both Heathcote and Werribee. Meanwhile, we got to planting Matt’s chardonnay vineyard on his gorgeous slope of the Macedon Ranges, a process that opened my eyes even more to the hard work involved from the supply end of the industry. 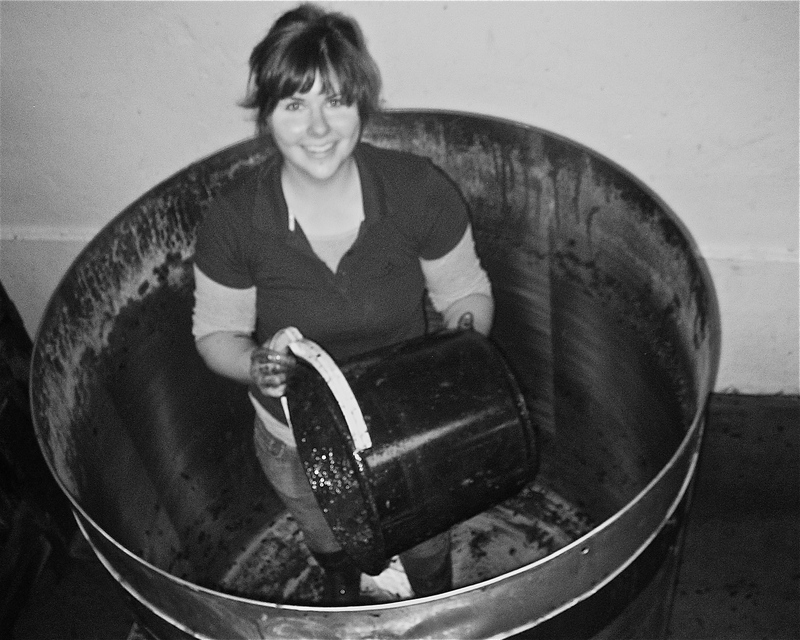 Vintage 3 ) The year 2008 saw me finally complete a harvest full-time at Shadowfax where I wrapped my head around all the winemaking processes. I’ll admit, it did take me a while. I then took the opportunity with Matt’s prompting to travel to Piemonte for vintage 2008 in Europe. It was an area I had never been to before and to be honest, did not know that much about. Nebbiolo? Barolo? Barbaresco? What’s that? Being a vinous nerd though, I was open to new grapes, new styles, new people, and this put me in the best possible position to learn as much as I could from the lovely Piemontese people. Vintage 4 ) Over in Italy, I worked for three months in the town of Castagnole delle Lanze (between Asti and Alba) for Giorgio Rivetti’s La Spinetta winery, including a few weeks at their Barolo base in Grinzane Cavour. The experience was invaluable. Nebbiolo was a revelation to my eager and young palate. I was exposed to the crème de la crème of the winemaking world and took it all in with wide, open eyes (not to mention the white truffle). Not only in terms of the wine, but the people I made friends with and the cultural influence this region has had on me will never fade. Vintage 5 ) Vintage in 2009 saw me placed a grand total of one month at the Domaine Chandon winery in the Yarra Valley to see how the commercial corporations operate, only to watch those horrendous fires tear through the area. The event did not deter my vintage spirit and I quickly packed my belongings and drove my car onto the ferry to Tasmania. Vintage 6 ) Here I worked for four months based in Hobart at the Winemaking Tasmania facility under Julian Alcorso – a contract winery that deals with small vignerons and produces lots of wine but in quite small batches. 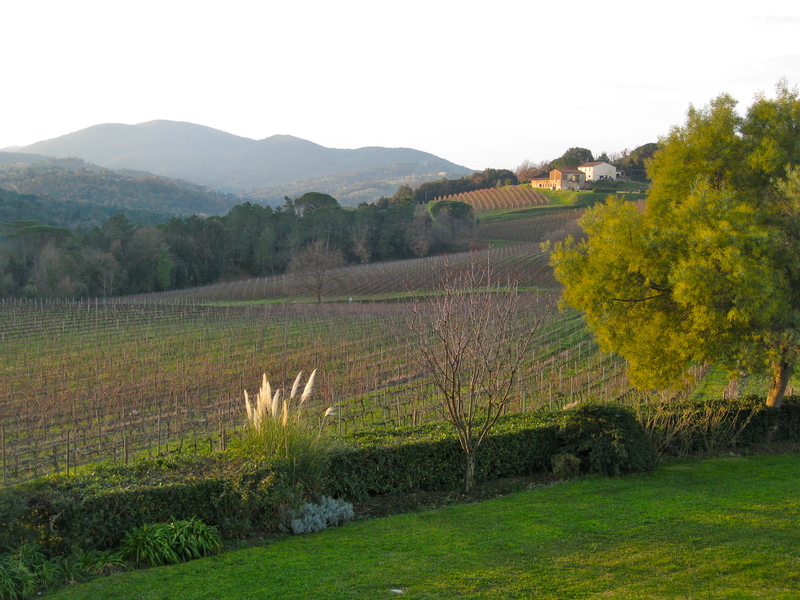 Vintage 7 ) After the ‘fast-paced’ life of Tasmania, I returned back to Melbourne, but in August 2009 I departed again for Italy, this time to the Tuscany region and the less typical wine zone along the Maremma coastline called Bolgheri – home of the Super Tuscans. Initially I was returning to Italy as I had been offered a full-time assistant winemaking position with La Spinetta at their Tuscan winery – an offer which unfortunately fell through in the midst of the global financial crisis. Again, determination prevailed and through various industry contacts I found myself serendipitously living at Grattamacco and working for the ex-winemaker’s son, Giorgio Meletti-Cavallari. The vintage was extremely jovial with such a young crew. I became part of the family and it seemed less like I had come here for hard work, but rather to experience la dolce vita for four months. A cliché, but true. Vintage 8 ) During my time in Italy I received an unexpected email from back in Australia regarding an offer of employment for the 2010 vintage. I graciously accepted the offer. My final vintage in 2010 took place at Henschke winery in the Eden Valley in South Australia where I spent almost five months living the life of a classic Barossan with much wine, good food and brilliant company to share it with. To the wonderful Henschke crew I will forever be known as Gazza and remembered for what I preferred to call my au naturale locks, but what they would rather call my ‘Bon Jovi crazy 80’s hairdo’. Good times, good times. Post-Vintage Life) After I returned from Italy in 2010, I commenced postgraduate studies through the University of Adelaide in Wine Business (Marketing). Basically I had decided to give the winemaking gig a break and expand my skill-set. A move was made back to the hometown of Melbourne after a number of years vagabonding around the world. I placed myself for a year in the Retail sector of the wine industry. Even just spending that short period in retail saw my basic knowledge and recognition of Australian wines improve dramatically. In 2011 and 2012 I was fortunate to join a talented group of Italian wine lovers twice in the Lorenzo Galli Scholarship, which saw me spend two days drinking and discussing some of the best wines that the country has to offer. Earlier in 2011 I completed my post-graduate studies and after demonstrating my enthusiasm and eagerness in my work, I moved into a Wine Marketing role dealing with imported wines from Italy for Enoteca Sileno. In 2013 I was headhunted for a position as Wine Manager for independent Italian-inspired deli/food/wine store King & Godfree in Carlton and on the side spent the following two years being an Associate Judge and then a Judge at the Royal Melbourne Wine Awards. In 2014 my partner and I bought a house in the country and got married. Suffice to say that life got a little busy. From June 2015 I ceased working directly in the wine industry but still wrote a monthly wine review column for Gram Magazine (wound up in December 2016). Nowadays you will find me taking on a new challenge and enjoying a different scent as I join the family shoemaking and leather craft business called Wootten located in Prahran and surround myself with leather. I hope you enjoy browsing through La Donna del Vino. If anything, I hope that it can be of some entertainment value while still being a place where I can share my enthusiasm for wine, so please enjoy. dear la donna del vino!!! love the stories, love the sofia loren…classy woman! Wine Wankers are a scourge on humanity!! Nice to see La Donna Del Vino is informative, very interesting, funny, succinct and very down to earth. Love it. The wine industry could do with more refreshing wine blogs like yours. Great blog and great experience you have. I hope one day I’ll be able to get as much experience in the industry as you got!